Some notes on a serial killer… Saw the movie years ago, but now watching the documentary on this chilly last night of February… Incredible likeness. Creepin’ me out actually, yet very fascinating. 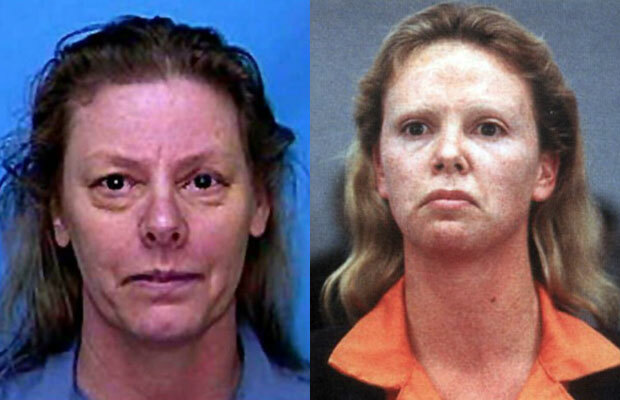 Aileen Wuornos. Wow, wow, wow. Crazy bulging eyes. The more angry she got the bulgier her eyes became. Creepy! Delusional. Sonic pressure was making her crazy. The food trays were killing her, basically. Scrubbed all her food. She was being surveilled. The world would be nuked in 2019. Her girlfriend thought gay people were “invented”. Must not have existed before she heard of them. Haha! Wow. Said she was not a professional serial killer. Did some sloppy work. Left finger prints. Thinks the cops were letting her continue to kill. She wanted the death penalty. Said she’d be back on the mother ship on June 6 anyway. Whoopa! Ok. Her mom asked when the execution was… thought she’d rest better… I’m sure she was right.